The MPAA thinks that almost all Kodi users engage in piracy. 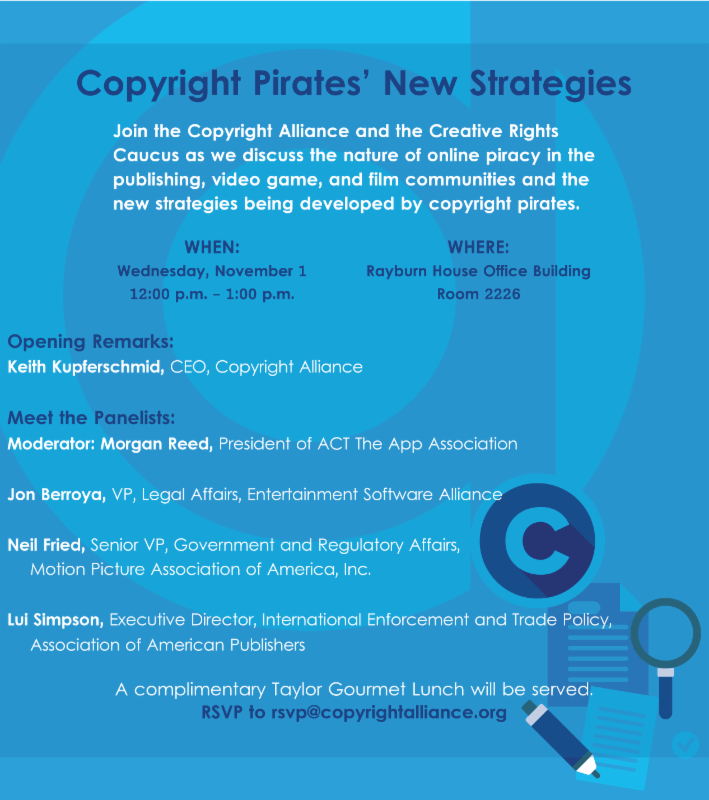 The Copyright Alliance hosted a panel discussion last week and guess what they talked about in there? The Senior Vice President of the MPAA and the Government and Regulatory Affairs chose to use quite a set of words for Kodi. And people who used it. The Senior Vice President noted that Kodi, as a platform, didn’t present any problems. About 12 million users legally made use of Kodi. But a total of 26 million Kodi users configured their Kodi setup with piracy Kodi addons. The Time For Torrents Is Coming To An End. Most forms of online file sharing platforms, including torrents, are slowly and resolutely simmering away behind the scenes. At the forefront, we have streaming platforms. The new online streaming phenomenon has not only replaced torrents and other file-sharing online platforms, but it has also improved the experience. That is one of the reasons why people have flooded towards online streaming. In other words, online streaming has taken over the online entertainment consumption business. Last Tuesday, the Canadian broadband management company by the name of Sandine produced a report. In the report, the company revealed that online IPTV traffic or Kodi traffic had actually grown in size exponentially. It had made massive gains in the last couple of years as far as metrics like number of users went. Sandvine also found a lot of other interesting facts and statistics. Mainly that about 6.5 % of North American households had equipment in their homes to communicate with known and popular TV piracy online services. Well, we can easily translate that to mean that there are about seven million piracy services subscribers in North America. Moreover, there are probably a greater number of potential piracy viewers. That leaves us with little doubt that new streaming platforms such as IPTV along with all its variants including the likes of Kodi and other streaming software applications had made their mark. They don’t look like going away. And will probably continue to dominate the market of free online streaming for a considerable period of time in the future. 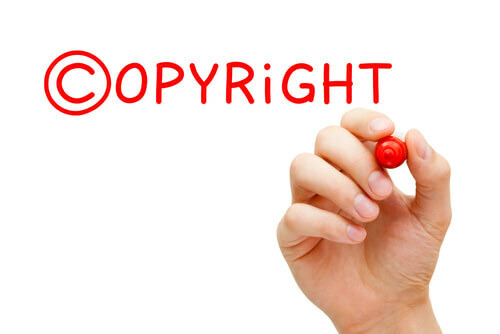 As mentioned at the top as well, the Copyright Alliance hosted a panel discussion in which the experts discussed topics such as those mentioned above. The Copyright Alliance held the panel discussion in conjunction with another entity by the name of Creative Rights Caucus. You don’t need us to tell you what they did talk about in the panel discussion. If you want to see a pretty neat promotional graphic for the discussion then click here. If you viewed the promotional graphic you would know that some of the biggest industry heavyweights attended the discussion conference. For the wider public, the Copyright Alliance made sure to tweet important point from the panel discussion throughout the session. The conversation turned to online streaming soon enough. Experts on the panel also talked about how they phenomenon had actually transformed online piracy in just a couple of years or so. The MPAA Senior Vice President, Neil Fried (and of Government and Regulatory Affairs) had previously dubbed the new online streaming phenomenon as Piracy 3.0. He also attended the conference. And in doing so, took the opportunity to describe online streaming devices and software application as the very latest online development in movie and TV piracy. Now, we already know that a lot of people in powerful positions have come out in the public and talked about issues such as piracy and streaming devices. Similarly, Fried tried his level best to explain that the online platform we all know as Kodi indeed had good and legal applications. Fried said that using Kodi in its very basic form did not constitute anything that they could consider illegal. However, Fried also noted that a lot of third-party Kodi addons for Kodi and other media players provided users with access to high-quality pirated content. The MPAA representative also used a big screen demo to prove his point. Copyright Alliance also communicated to the public that Fried, after giving his initial talk, began to deliver some other interesting statistics about Kodi, Kodi addons and Kodi users. In other words, the MPAA showed graphics to show that it believed that around 38 million people used Kodi in the world. Does this sound like a reasonable number or figure? Is it a reasonable number? Because people first started to use Kodi about 15 years ago if we can ignore the actual name and keep a track of its various guises. We should not forget that Kodi is just the rebranded version of XBMC player. However, Fried didn’t just stop there. He also tried to claim that of the 38 million Kodi users, around 26 million Kodi users (a substantial percentage) used piracy add-ons via their Kodi setup. In other words, more than 26 million Kodi users around the world used third-party Kodi addons by installing them on their Kodi machines. How much is that in terms of percentage? In terms of percentage, that number comes out to about 69 percent. In other words, every seven out of 10 Kodi users utilize piracy Kodi addons. Other types of media such as audio files along with documentaries and foreign content. If we take the MPAA’s official statement from the conference at its face value then that means there are around 12 million Kodi users who aren’t using piracy addons. In other words, they are using Kodi for totally legitimate and legal purposes. Folks over TorrentFreak managed to contact Nathan Betzen, XBMC Foundation President. They asked him about his stance on issues such as the number of Kodi users. And the percentage of users who indeed abused the Kodi platform for their own illegal online streaming. Some think that the MPAA may just be making these numbers up. Well, his answer didn’t tell anyone anything new. Betzen told TorrentFreak that unfortunately, he did not have an updated number on the number of Kodi users. Because, according to Nathan, they did not watch what their Kodi users did while they used the Kodi platform. Moreover, he said, they had no way of knowing about the number of Kodi users who didn’t and didn’t do illegal streaming. He also said that the MPAA numbers could completely represent the truth. Or, the MPAA could totally make them up. In other words, according to Nathan, they had no real way of knowing whether the MPAA numbers represented the truth or falsehood. However, we all know that the Kodi team indeed has the capability to monitor, not individual Kodi users, but over Kodi usage. And that holds true even when we consider the fact that the official Kodi team doesn’t really publish these statistics. How does everyone know what? Well, this information came up to the surface way back in the year 2011. In 2011, Kodi didn’t have the name Kodi. The Kodi team wrote back then that, the Kodi addon system gave them the opportunity to actually measure the popularity and usage of Kodi addons. It also allowed Kodi developers to measure Kod user base along with estimate the frequency with which Kodi users updated their Kodi systems. Back then, the official Kodi team also revealed that this information helped them to help more Kodi users. And assist them in find more useful and popular Kodi addons. The Kodi team also wrote in 2011 that they could do another very interesting thing with these Kodi statistics. They could form a pretty good picture of the number of active XBMC installs. And most of all, they didn’t have to track what each individual Kodi user did in order to know that number. We can say for sure that the official Kodi team can make use of those mechanisms against to verify or expose the MPAA numbers. Afterall, back in 2011, the official Kodi team used the system described above to conclude that around 435,000 Kodi users had active XBMC instances around the world. Readers should also know that the statistic we have quoted above comes from the period of April 2011. To put it another way, we should keep in mind that the number of Kodi users has rocketed to sky high limits from that point onwards. The core Kodi user base has swollen dramatically. One could see that even back in 2011 with enough attention to detail. Three months after the official Kodi team revealed the 435,000 Kodi user base number, media reports found that the number of XBMC installations had grown to 789,000 in the past previous six weeks alone. Keep in mind that we are talking about active XBMC installations at the moment. We have already mentioned the fact that the MPAA, in 2017, thinks that there are about 38 million Kodi users. And about 26 million of those 38 million users stream illegal content. In other words, they are pirates. Now, we know that there are no official numbers. The official Kodi team doesn’t have any information on the number of Kodi users there are in the world right now. Our friends at TorrentFreak contact TVaddons, the famous Kodi addon repository about their position on the numbers that MPAA put out. A TVaddons spokesperson said that they had always banned the use of online analytics within Kodi addons. In other words, it was impossible for anyone to come up with an estimated number of Kodi users. The spokesperson also revealed that it seemed like the MPAA didn’t have much statistical evidence. The fact is, some Kodi users do engage in piracy. But there is no way to tell how many. And just threw these numbers around for the sake of them. The spokesperson also said that the MPAA mislabelled Kodi users when it labeled them as pirates. Moreover, the spokesperson pointed out that the MPAA did the same thing back when it mislabelled legitimate online services such as CloudFlare. A TVaddons spokesperson also revealed that as far as general addon use went, before law enforcement agencies unlawfully seized their repository server, they had about 39 million active Kodi users per month. Now keep in mind that the TVaddon repository was a huge repository. It itself contained hundreds of good and legitimate Kodi addons. This spokesperson then said that even then, they did not know how many of their Kodi users actually downloaded which adorn on their systems. Additionally, the TVaddons spokesperson revealed they never allowed anyone for Kodi addon statistics for users. And of course, bred unhealthy competition. Well, for a start, there is more than a little dispute over the number of potential Kodi pirates. But what we can say is that the community has developed a consensus on the actual number of Kodi users overall. But no one has addressed the big question though. How would copyright holder groups such as the MPAA deal with issues such as unauthorized infringement in the near future? The current situation doesn’t give us enough information at the moment. But that hasn’t stopped the likes of the MPAA to paint piracy platforms such as Kodi as dangerous places. 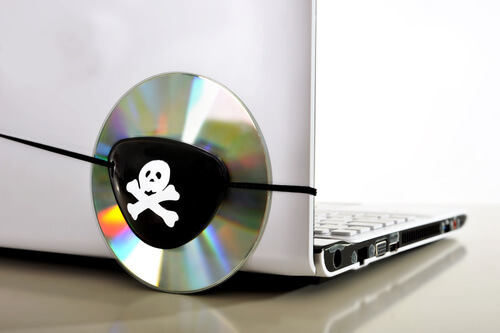 Users of online piracy services were 28 times more likely to get infected with malware. We all know that he didn’t have much evidence to back that up. But this kind of a strategy can pay off. Especially in the long run. Well, no one really knows the answer to that question. Because the situation is so unclear. Piracy 3.0 is something that represents a massive threat to a few big players. It’s something that not many people could see coming half a decade or more so ago. But that isn’t going to change the fact that Piracy 3.0 is likely to keep growing exponentially. Some in the copyright holder groups believe that if law enforcement agencies start to fine pirates, they can reduce piracy. More specifically, awareness about piracy fines can cause around 13 percent of the pirates to cease any piracy activity. This is what a study has found recently. Researchers carried out this study on behalf of a reputed anti-piracy group based in Finland. The study found that the mere existence of things such as piracy settlement letters had a substantial effect on the behavior of online pirates. According to this new study, about 13 percent of the online user who admitted to making use of unauthorized online service actually quit their behavior. But they only did so after becoming aware of these piracy settlement letters. Moreover, the study also found that around 14 percent stated that they had themselves chosen to cut down on their piracy activities in response to these piracy settlement letters. Will that help anti-piracy groups to figure out what to do about online piracy And Kodi Users? Online piracy is a tough puzzle. And copyright holder groups all over the world have spent a massive amount of money to stop it. Part of the reason is that no one really knows a way to stop it for sure. So they each try different methods from time to time. 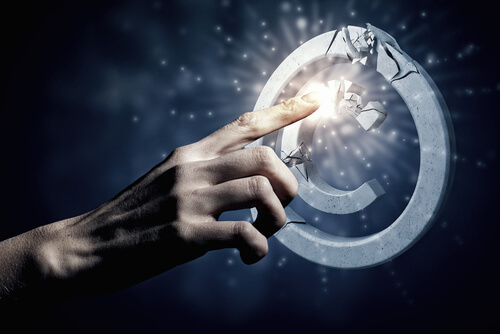 What these copyright holder groups do agree on, however, is that they need to educate the general public about issues such as online piracy. Previously we have seen copyright holder groups using internet service providers to educate their users via piracy notices. 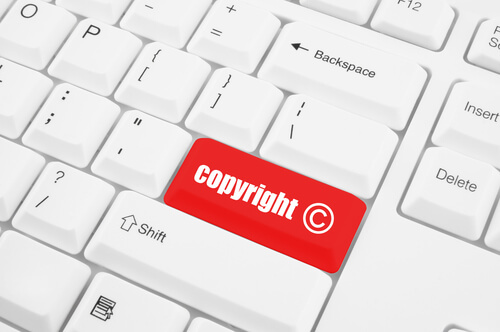 Nowadays, you can see copyright holder groups deploying strategies such as painting piracy sites as havens for malware and viruses. To read more about these issues and more, go here. Then use the comments section below. For more information on Kodi add-ons and piracy, stay tuned to Security Gladiators. 7 out of 10 MPAA and Hollywood copyrightholders are not paying their taxes. Which numbers might be the most correct ones!